Is your growing company ready to expand to other regions? Are you looking for secure and safe storage for your food-grade goods and other commodities? Do you need your products to be transported on time by a company that represents you well? 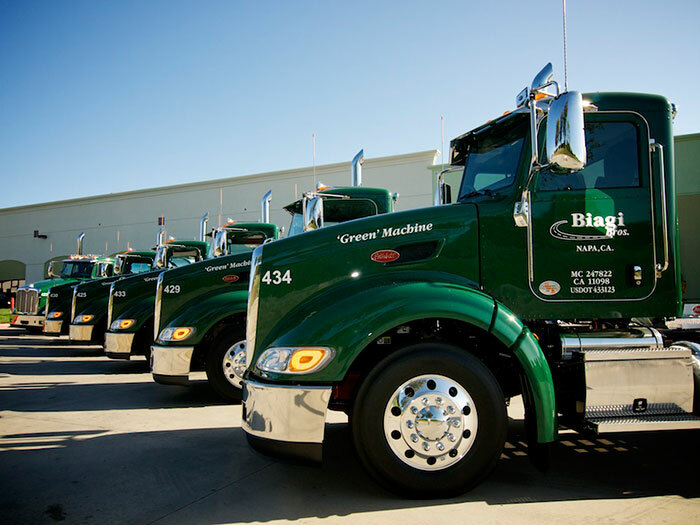 Biagi Bros offers a full range of 3PL services including local and regional transportation solutions. From warehousing to trucking, our business is helping your business. 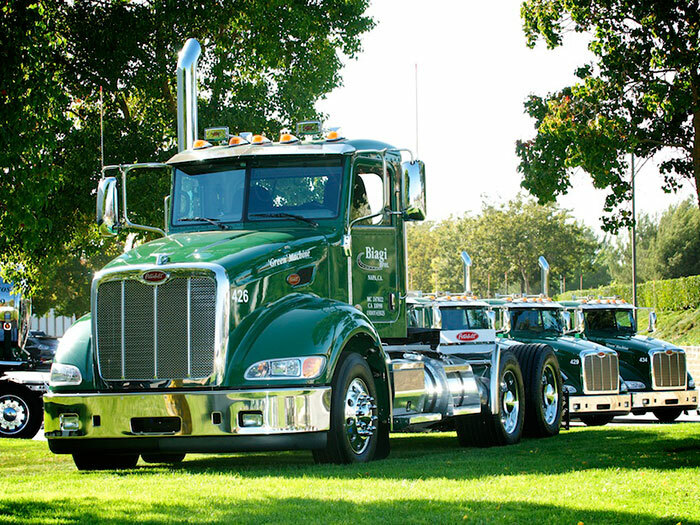 To take care of your logistics needs, Biagi Bros offers inter/intra-state common carrier services with a fleet of more than 270 tractors. 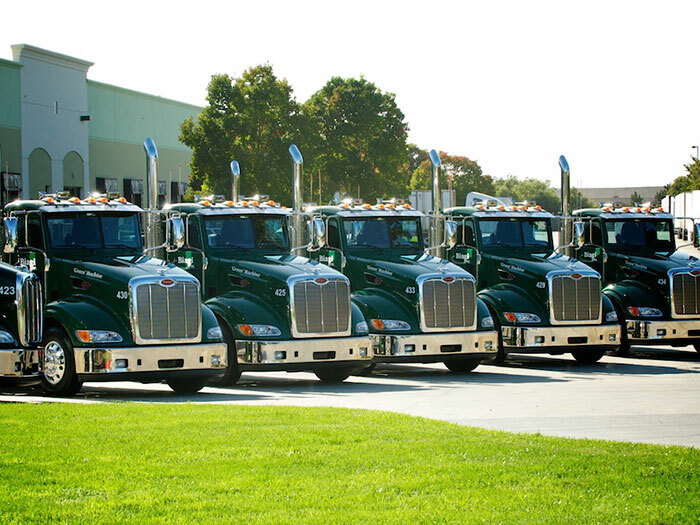 This fleet includes 28 food-grade insulated and non-insulated tankers and 700 (flats, dry & roller vans) trailers. Multi-compartment tankers give us the flexibility to split loads according to a client’s specific needs. Biagi Bros is capable of serving companies in virtually any industry, including the wine industry with its stringent transportation requirements. We even have flat-beds for raw grape transportation. Worry-free transportation begins and ends with the people who man our fleet and keep our business running. That’s why Biagi Bros employs only trained and experienced logistics professionals. They always put safety first, which means you get your goods delivered safely and on time. If you have been experiencing logistical challenges or you are ready to expand your operations, Biagi Bros is here to help. We have terminals throughout California, as well as in Arizona, Washington, the Midwest (Oklahoma and Chicago), and from Texas to Florida. Whether it’s local, regional, long haul or something in between, we can accommodate your route. Learn more about our convenient terminal locations. 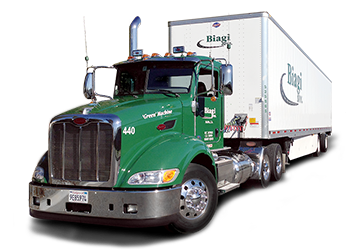 Biagi understands freight and the importance of reliable on-time pickup and delivery in a local and regional environment. Through our 3PL and Dedicated Fleets we offer national service as well.